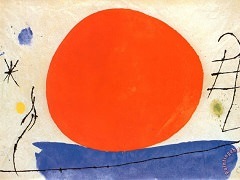 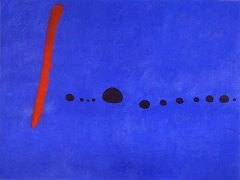 In his Constellations series of 1940-1, Miró set about to create new challenges in composition and then to solve them. 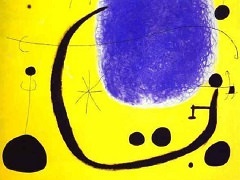 One from this series of ten multimedia works on paper, The Beautiful Bird Revealing the Unknown to a Pair of Lovers, features a reducedpalette, including a solid background that emphasizes the simplified forms and lines that together mimic the appearance of a complex constellation in the night sky. 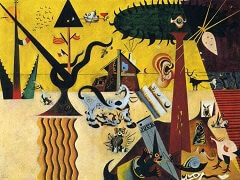 In the midst of producing this series, Miró was forced to flee with his family from France to Mallorca to escape advancing German troops. 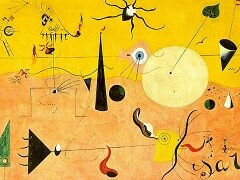 Evidently the family took little else with them aside from these paintings. 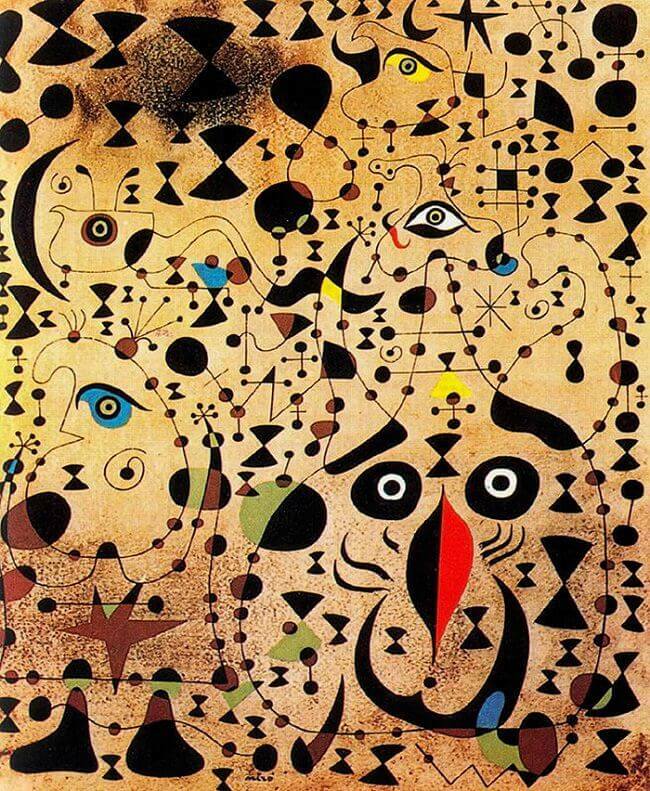 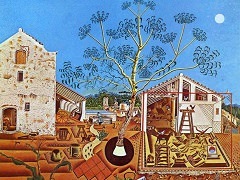 The crowded, chaotic feeling of these compositions in some ways echo Miró'sfeelings regarding the violent upheaval in Europe at the time.